Knowing your audience will make the process a whole lot easier. Truly knowing your customer will help set up the targeting settings correctly and achieving better results. Our team will structure your campaign in the right way, we will analyze Analytics data and generate adjust settings depending on what might be slowing down the process of generating leads. Split testing on the ad copy and design allows us to narrow down what content will attract more clients; we’ll test out different options and see what works best. How does SEM help you? Contrary to other traditional advertising methods, advertising through Google Ads allows you to analyze the behavior of your campaign AT ALL times. This way you will know if people are responding positively to your ad and most importantly if you are investing your money correctly. It’s all about quality traffic. 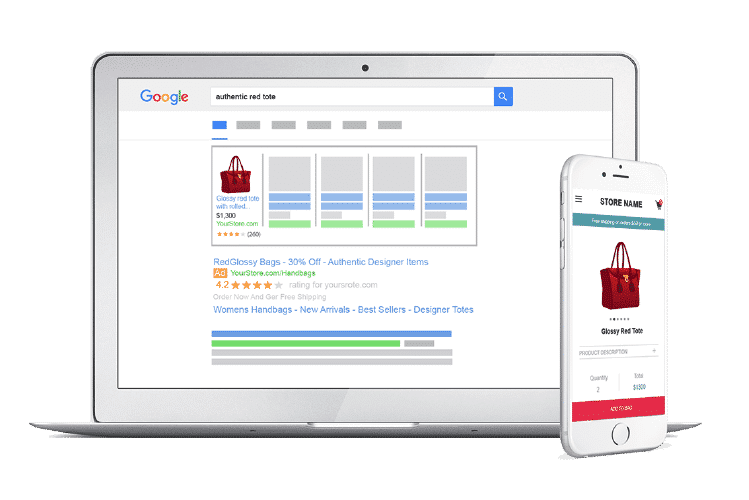 The results offered by the Google Ads advertising service are so effective that you can place your ad on the first pages of Google searches, from the first days of the launch of the campaign.